Have you noticed all the neighbourhoods in Adelaide similar to hyde park have lovely fencing outside the homes. Adelaide Fencing styles may seem lost in the suburbs but where it matters most you will find the frontage is always accompanied by a beautiful fence and gate. 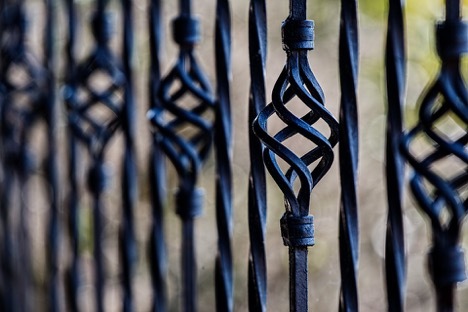 There are different types of fences available to suit your needs and cater to your desires. Fences are the first thing noticed in a neighbourhood, so it has to look snazzy and functional. You might need to look at a Beginner’s Guide to Fencing your Front Yard. It’s pretty important to know variations too. To know the types of fences, research first your Adelaide area by driving around the streets to get a feel for the style all the other properties are following. Understandably yo may not want to follow suit and build a fence that is identical to others. But also be sure not to build a fence in Adelaide that is going to stand out like a sore thumb. Get to know what it is about. With so many style variations it’s important to know where we are headed before jumping in. Wood fencing is the most popularly in use, not just in America or Europe, but all around the world. Not only does it provide the residents’ privacy due to the height of the fences. It is warm and welcoming without the need to go bankrupt. The better the quality, the more long term it will be. Remember, the more wood required for fencing, the higher the expense. And all fences take a good proportion of time to be installed. It does get excruciating, so keep your impatience in check. And quality depends on the type of wood you opt for. Another classical form of fencing. Highly favoured because it is basic, attractive and does not require high maintenance. Despite the good things, it does not provide lots of security and privacy. But for those who prefer convenience over security, this is it. Takes time to install, but the process is quite easy and the results from Colorbond fencing are 9 times out of 10 going to receive your seal of approval. Hands down, one of the most inexpensive ways of fencing. Used as a replacement for wooden stakes and pickets although the quality may differ, it fulfils the purpose. Although they are not as sturdy as the wood they are stable. It is also very cheap, an effective method to fence your yard. The PVC is given a makeover for that it lasts for a longer proportion of time. Ever seen a movie where there are stunning mansions which are fenced using iron, in a variety of styles and designs? That is what this is. But it has become popular among common household too. Very beautiful and complementing but requires maintenance and costs a good proportion of your money. A pretty elite choice, Five times stronger and four times more flexible. Elite specifically is expensive. If you want quality goods and are ready to spend, this should be it. It is maintenance free and has no restraint for cleaning. You can wipe off most forms of dirt and paint. A bunch of chains meshed together, creating a net-like structure. An inexpensive method, which is highly used in schools. The perfect trio: cheap, durable and low maintenance. To promote a green environment, you can add greenery and flowers to it. Invisible fences that restrict dogs from entering a specific area, and has a field full of electricity. Installation involves placing wires and transmitters. Bamboo flooring and fencing are flourishing in the industry. It is both environmentally friendly and attractive. There are 3 types of bamboos that are generally used: live bamboo rolled bamboo, bamboo cane. Although the name specifies the agricultural domain, this trend is prospering in America. Different methods are used to achieve this type of fencing: wood, electric, barbed wire, woven or high tensile. However, the process takes time and lots of money. Although privacy and security must be primarily thought-through, style and creativity should never be left behind. If you find your purpose, you will find the right fence type.